Add to this hazard of texting while walking a driver of a vehicle who is texting while walking and you get a recipe for disaster. This is borne out by the latest driving fatality statistics. Over the past two years, after decades of declining deaths on the road, U.S. traffic fatalities surged by 14.4 percent. In 2016 alone, more than 100 people died every day in or near vehicles in America, the first time the country has passed that grim toll in a decade. In Boston, police officers are going under cover to target distracted, texting drivers. But shouldn’t police officers on foot on our streets stop a texting pedestrian from crossing a street, too? 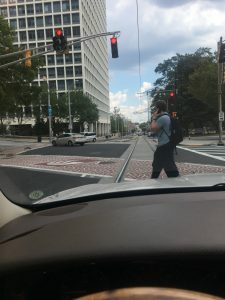 Georgia actually has a Bicycle and Pedestrian Safety Action Plan, but I wonder if anyone has ever read it (perhaps other than personal injury lawyers, like me). I twas created because Federal Law mandated it to be created if Georgia didn’t want to lose all of the Federal funding it receives for road construction. Passed in 2005, the federal transportation act, SAFETEA-LU, required every state to develop Strategic Highway Safety Plans (SHSP) in order to continue to receive certain federal transportation funds. This is much like when all of the states raised their drinking age to 21 from 18; it was to avoid losing Federal funding for its roads. 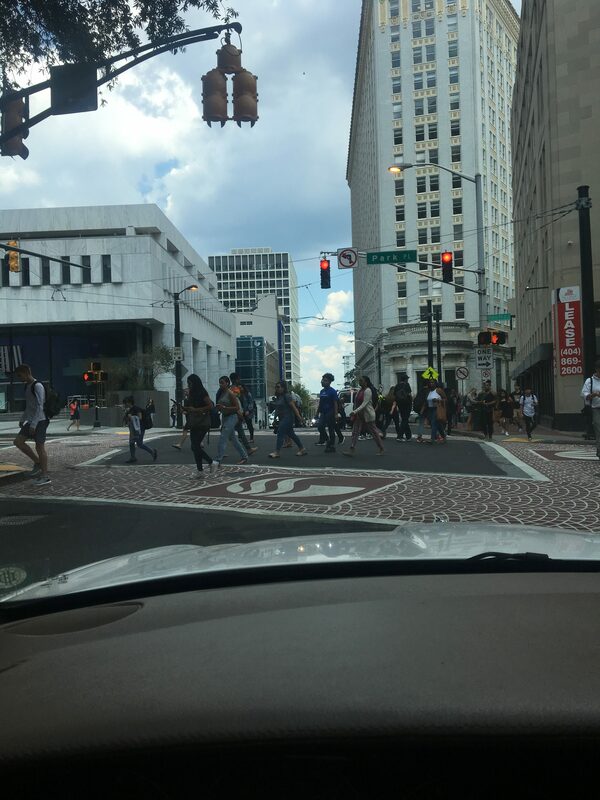 In our Georgia Safety Action Plan there a couple of paragraphs that set out the Georgia Laws regarding pedestrians, but they are all written with the scenario of a pedestrian being hit by a vehicle. It doesn’t contemplate anything that a pedestrian might do, such as texting while walking, that endangers the pedestrian him or herself. 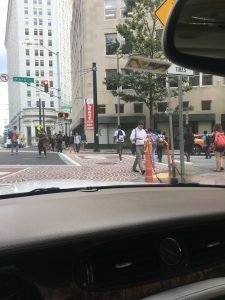 Maybe it’s time the Atlanta City Council consider a law like that in Honolulu going into effect tomorrow, to protect pedestrians from themselves. We’ll see, I guess, but don’t hold your breath. In the meantime, I will continue to be extra vigilant as I drive down Atlanta streets in the heart of Georgia State University and urge my fellow motorists to do likewise. Stay safe out there!